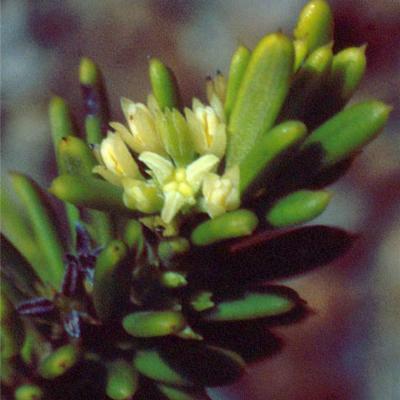 This genus is accepted, and its native range is Mexico, Caribbean, Europe, Temp. Asia to Philippines, Africa. Small, usually much branched trees and shrubs; glabrous throughout Small, usually much branched trees and shrubs; glabrous throughout. 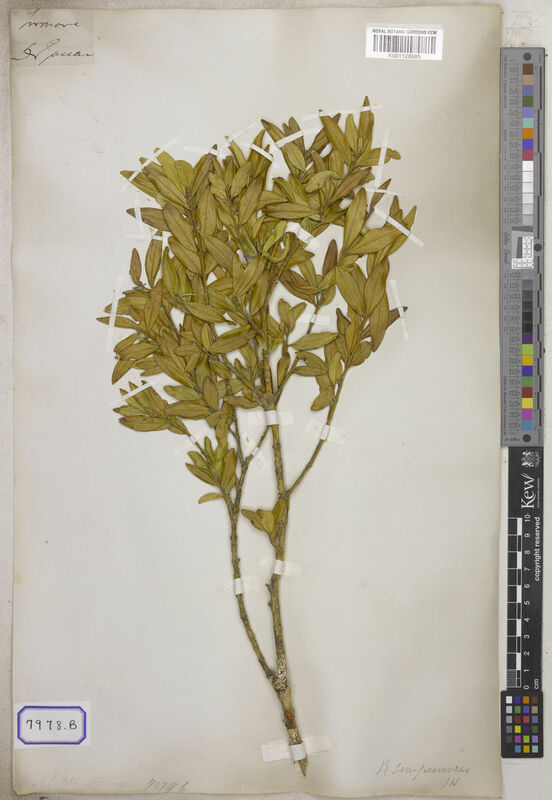 Leaves opposite, entire, coriaceous Leaves opposite, entire, coriaceous. 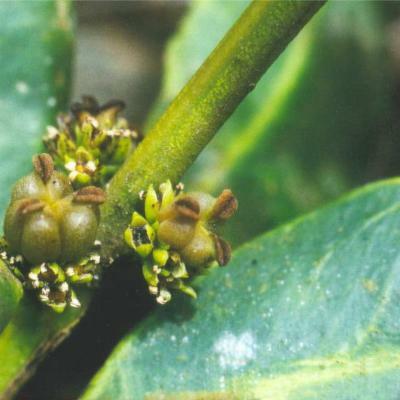 Female flowers with 4–6 perianth segments; staminodes absent; ovary 3-locular; styles 3, thick, grooved and with recurved stigmatic part; ovules 2 per locule. 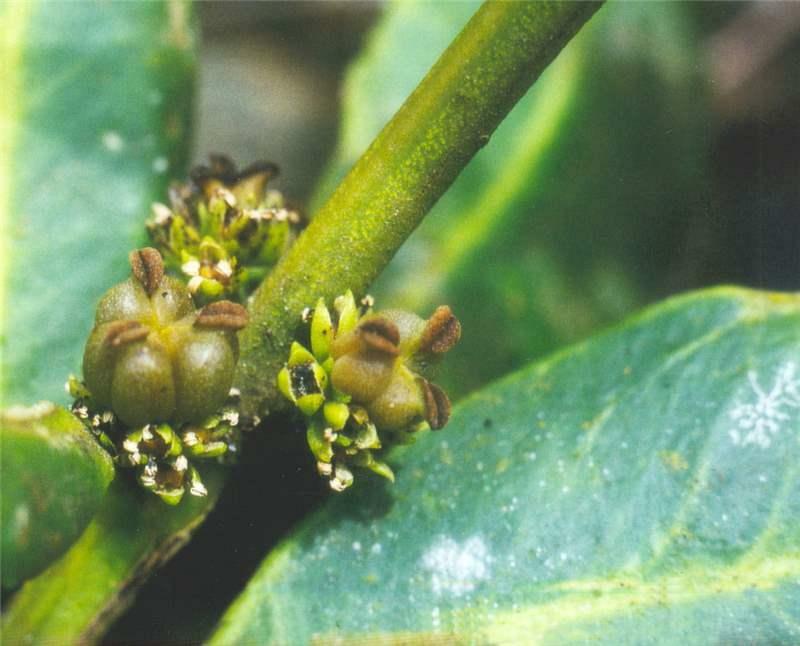 Female flowers with 4–6 perianth segments; staminodes absent; ovary 3-locular; styles 3, thick, grooved and with recurved stigmatic part; ovules 2 per locule Male flowers with 4 perianth segments, 2 outer and 2 inner ones, equal or unequal; stamens 4–6(10), usually opposite a perianth segment or more stamens at each perianth segment; anthers sessile, subsessile or on clearly distinguishable filaments, dorsifixed near the base, opening by longitudinal slits; rudimentary ovary truncate or 3-lobed at apex or absent Flowers in short compact spikes, often consisting of a terminal female flower subtended by bracts in the axils of which are 2–4 male flowers, or each inflorescence unisexual Male flowers with 4 perianth segments, 2 outer and 2 inner ones, equal or unequal; stamens 4–6(10), usually opposite a perianth segment or more stamens at each perianth segment; anthers sessile, subsessile or on clearly distinguishable filaments, dorsifixed near the base, opening by longitudinal slits; rudimentary ovary truncate or 3-lobed at apex or absent. 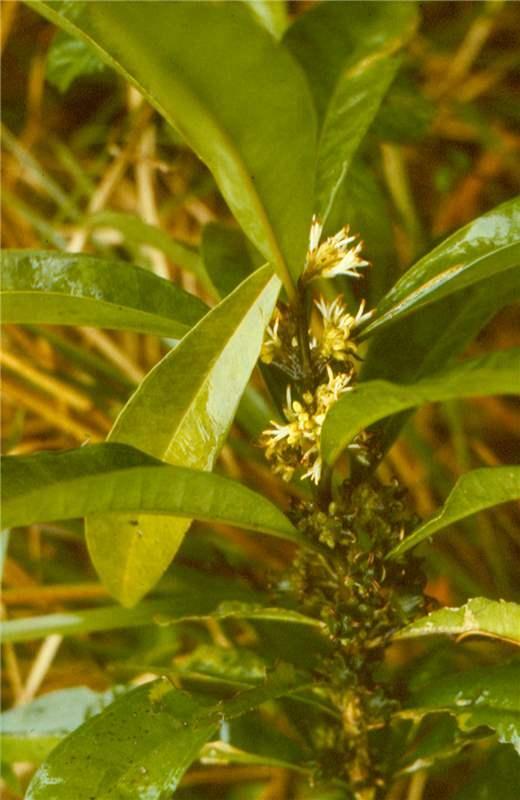 Flowers in short compact spikes, often consisting of a terminal female flower subtended by bracts in the axils of which are 2–4 male flowers, or each inflorescence unisexual. Seeds usually 3-ridged or ovoid-oblong, with black, shiny testa. Seeds usually 3-ridged or ovoid-oblong, with black, shiny testa. 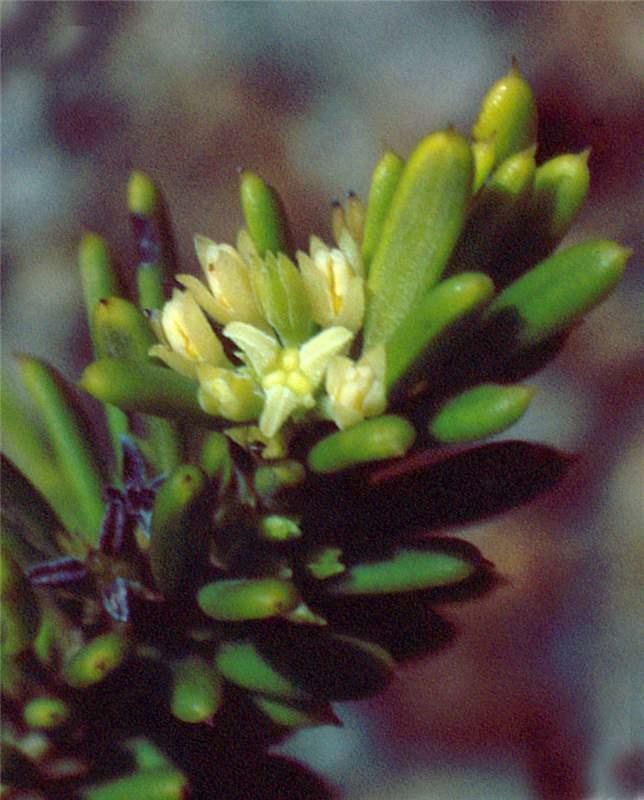 Inflorescences or the lateral male flowers arise directly from the stem, not in the axils of bracts below the female flower, the androecium consists of 4 sessile or subsessile anthers, the rudimentary pistillode is usually, but not always absent, and the pollen is of the so-called B macowanii type The species of this group are associated with forest in southern Africa (B macowanii Oliv in the eastern Cape, B benguellensis Gilg in Angola and B nyasica Hutch in Malawi), and with evergreen scrub and more open vegetation in Madagascar (B madagascarica Baill.). 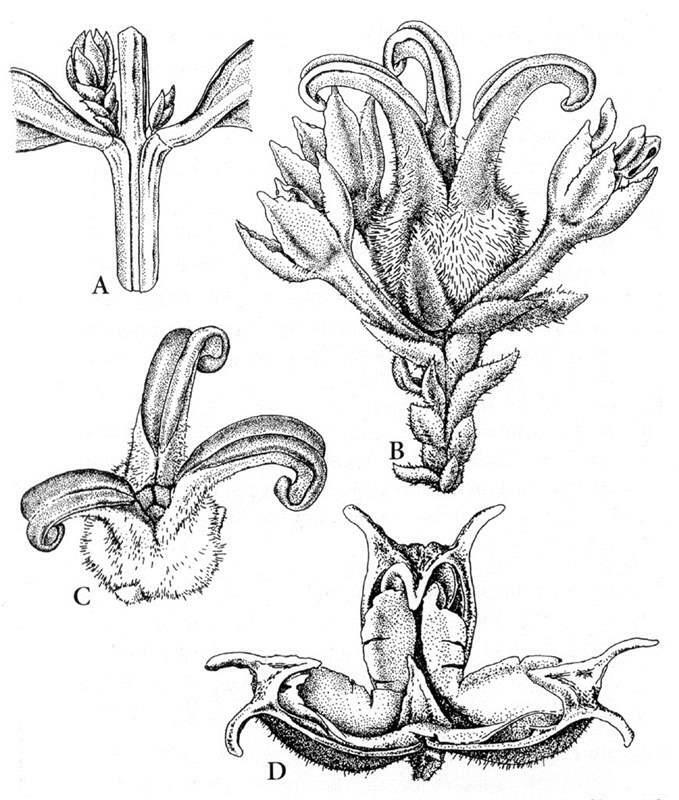 Inflorescences with an apical female flower and a number of lower male pedicellate flowers, in these one or two extra stamens occur at the relatively broad inner pair of perianth segments, making a total of 5–6, the anthers are sessile or subsessile, a rudimentary pistillode is absent, and the pollen is of a type termed the Notobuxus type The species are closely related, and are as a group associated with lowland rain forest Buxus acutata Friis (Notobuxus acuminata (Gilg) Hutch.) in W Africa to Dem Rep Congo, B cordata (Radcl.-Sm.) Friis in Tanzania (Usambara Mts. 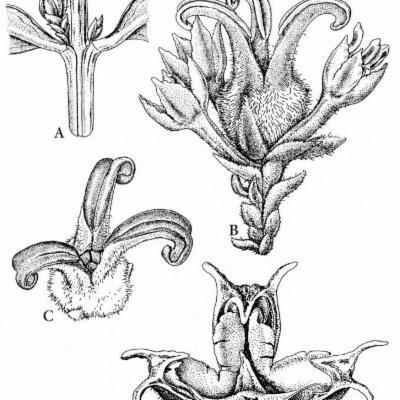 ), B obtusifolia (Mildbr.) 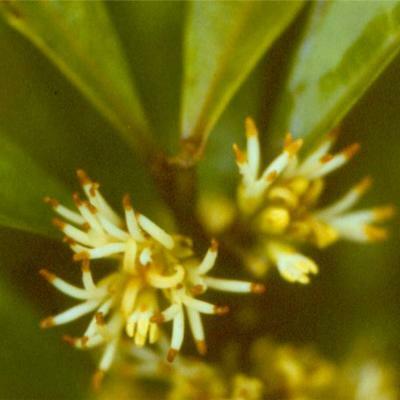 Hutch in the coastal forests of Kenya and Tanzania, and B natalensis (Oliv.) Hutch in coastal forest of Natal. 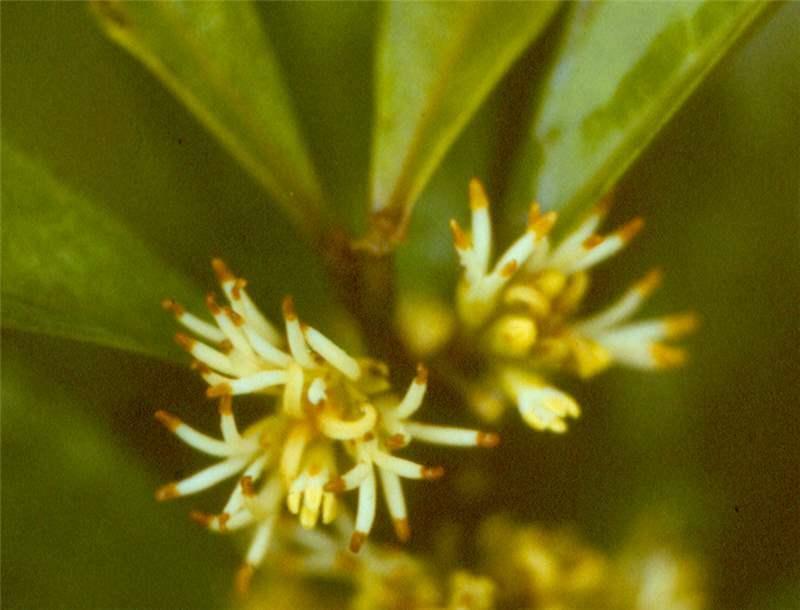 Buxus gonoclada (C.Wright ex Griseb.) Müll.Arg. 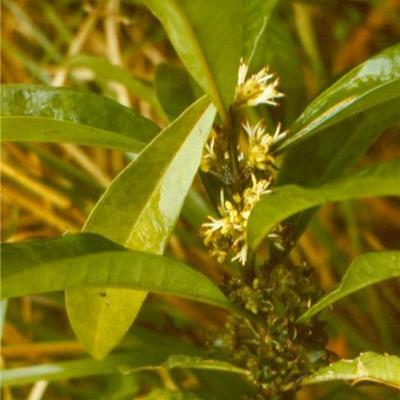 Buxus microphylla Siebold & Zucc. Buxus sirindhorniana W.K.Soh, von Sternb., Hodk. & J.Parn. Kew Bull. 44: 293–299 (1989). Friis in Kew Bull. 44: 293–299 (1989). Sp. Pl. 2: 983 (1753).